PDF to TXT Converter is a windows application to convert pdf files to plain text format files in batch mode. 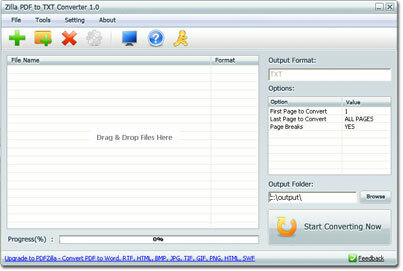 PDF to TXT Converter also support convert specific pages range to txt files. After conversion you will get the editable text from the original PDF document.